After spending a cornucopia of days eating when our out of town visitor was here, we were ready to go back to our preferred style of dining - tapas style. 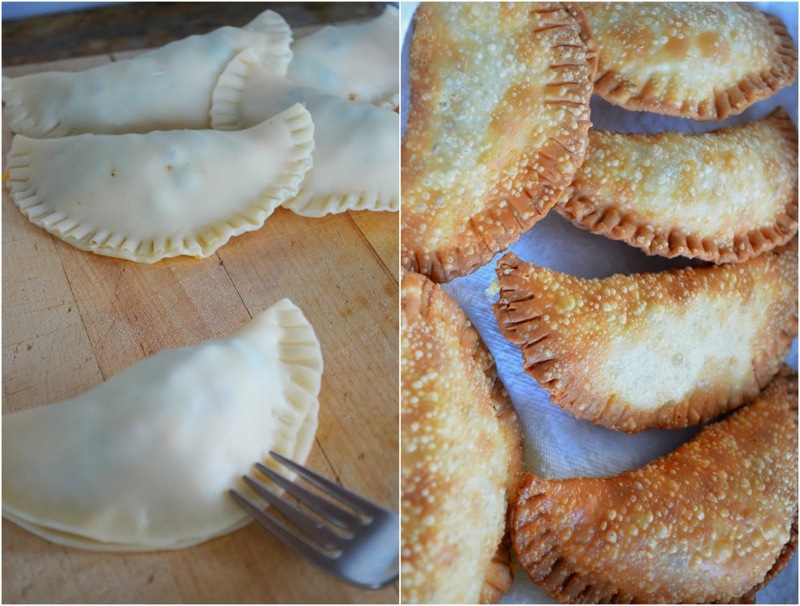 My first go-to meal was to make a version of one our favorite tapas choices - empanadas. 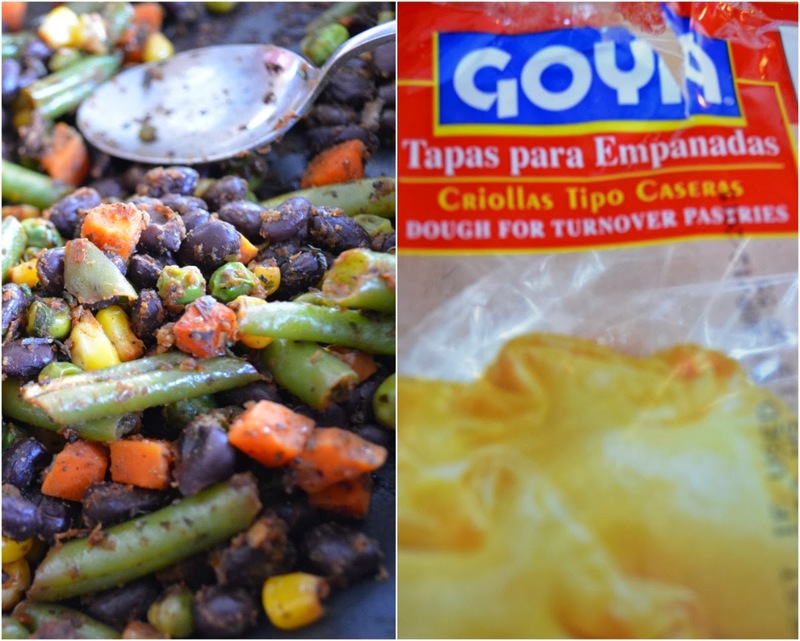 It's one of those simple dishes that makes me reminisce of good times during my teenage years eating at my best friend's mom's house, where great Latin music (of all my faves - bachata, meringue, salsa...who am I kidding? All Latin sounds really) was always playing, and echoing out of their windows adorned with pretty flower boxes as you approach the house. Aah... love such memories. 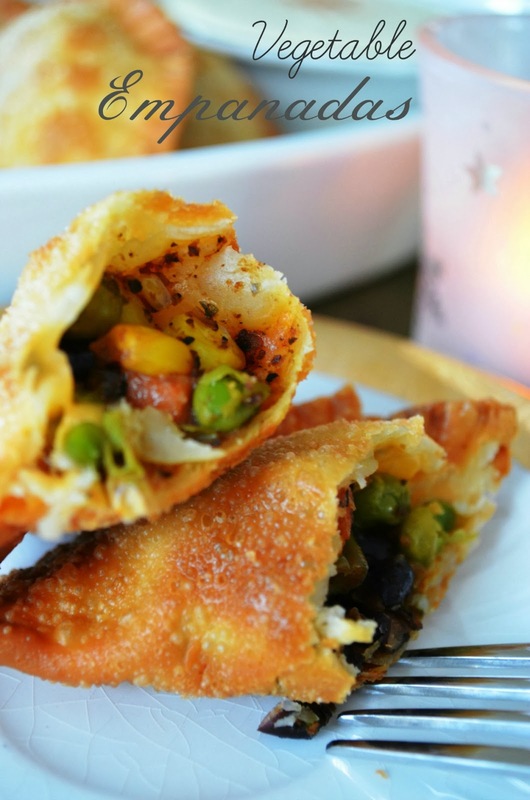 Empanadas are very much a no-fuss meal as it is meant to be eaten by hand with a small dollop of dipping sauce after each bite. Hmmm, hmmm, hmmm, hmmm, hmmm! 1. Heat a large skillet over medium heat. Add the oil, saute onion and garlic until soft. 2. Add the rest of the ingredients and saute, stirring frequently until the vegetables are softened, about 4 - 5 minutes. 3. Let your mixture cool down. 5. Fold the dough over in half, crimp the edges with a fork and fry in oil (or bake*** for a more figure friendly option). 6. 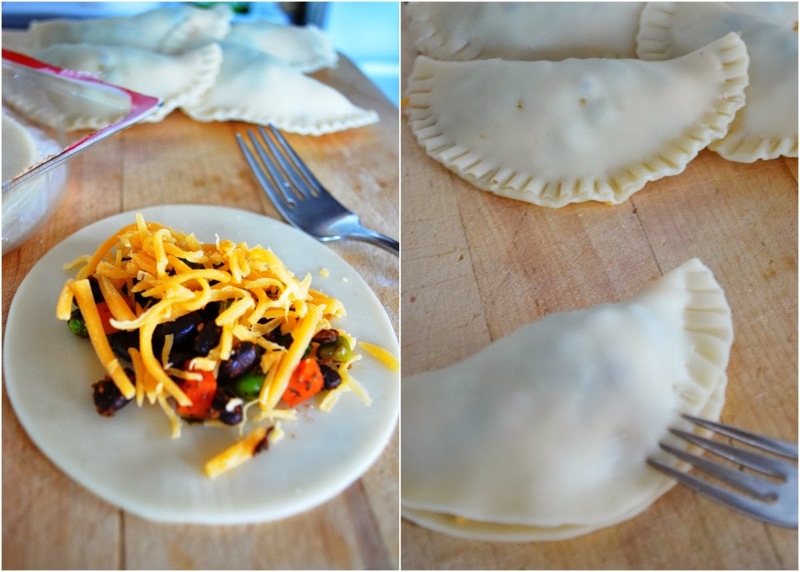 Before folding your empanadas, fill a deep pan (I use my dutch oven) with enough vegetable oil so that they will float when you drop them in. Heat oil until it's hot and ready (Tip: on when to know your oil is ready), that way you avoid the shell from absorbing too much oil. 6. Add empanadas to oil and fry (several minutes per side) until golden brown. 7. When finished, rest them on a paper towel to absorb some of the oil for a couple of minutes before serving. 8. Serve with cream dipping sauce (recipe below), or another favorite like, chimichurri alongside them. Combine all ingredients in a mixing bowl and mix well. Adjust salt and pepper as needed. *Due to lack of time, I usually just buy the pre-made empanada discs, but you can always make your own pie dough (which I'll post at a later time). 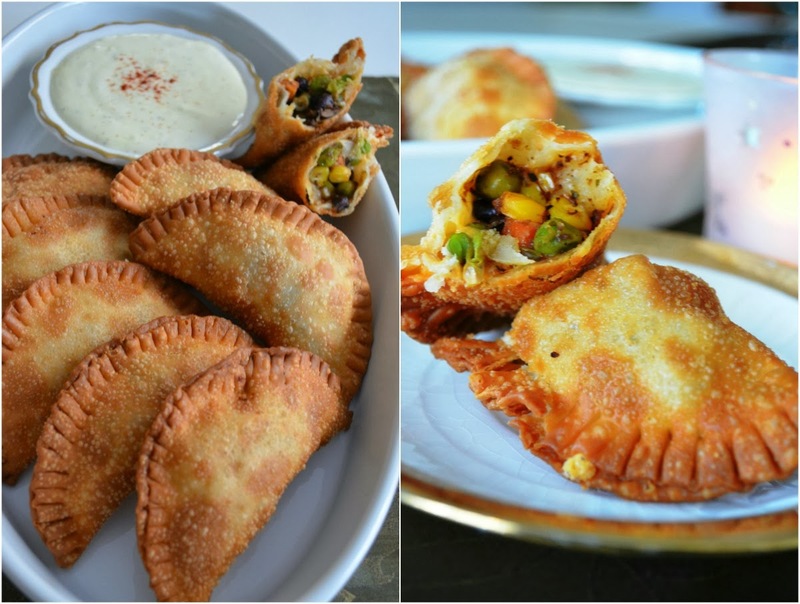 **Empanada filling mixture can be your choice (savory or sweet). ***If you prefer them baked just pop them in a 400 degree oven for about 20 minutes. What's great about these is that you can freeze them (uncooked) for quick future snacks and/or dinner. Bon Appetite!